After a long winter the warmer weather in now upon us especially for those in the northern part of the country. With the warmer weather, more daylight and bluer skies gives birth to motorcycle season. 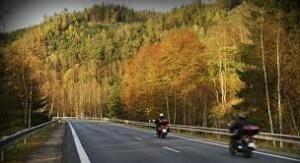 While many parts of the country experience motorcycles year round those of us with actual winters tend to forget about them and when they come out of hibernation it’s like a swarm of bees on the road. Many like to think of ourselves as good drivers and that may hold true for the majority but this is the time of year to put your safe driving skills to work. Take the time to come to a complete stop at a stop sign, look both ways, use your mirrors and signals when making a turn or lane change, give motorcycles extra room when you are behind them. 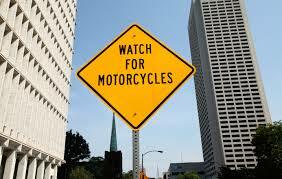 This not only protects the motorcycle rider this protects you and your passengers as well. If you ride a motorcycle follow the same rules and one thing I see too often are younger less experienced riders showing off on their bikes and traveling at dangerous speeds on highways and residential roads putting not only their life in danger but others as well for a thrill that can kill. There is enough road for everyone so drive and ride responsibly!